We aim to be an ‘Employer of Choice’ with professional, engaged and culturally competent staff. We strive for the highest standards of clinical practice and management. 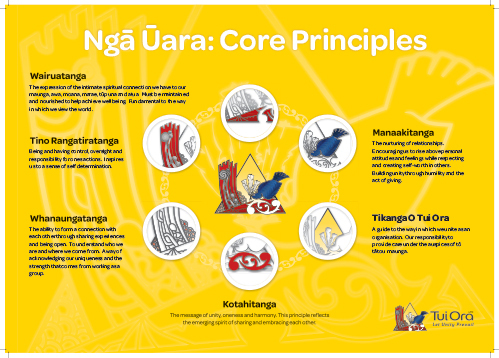 In 2016 our cultural competency training programme called Te Raukura was launched, with the core principles, Ngā Ūara, listed below. We recognise the need to be a competitive employer that invests in people through development opportunities and salary. Roles are designed and staff trained for new ways of working that better meet client need. The expression of the intimate spiritual connection we have to our maunga, awa, moana marae, tūpuna and atua. It must be maintained and nourished to help achieve wellbeing. This is fundamental to the way in which we view the world. The message of unity, oneness and harmony. This principle reflects the emerging spirit of sharing and embracing each other. The ability to form a connection with each other through sharing experiences and being open. To understand who we are and where we come from. A way of acknowledging our uniqueness and the strengths that comes from working as a group. Being and having control, oversight and responsibility of ones actions. Inspires us to a sense of self determination. A guide to the way in which we unite as an organisation. 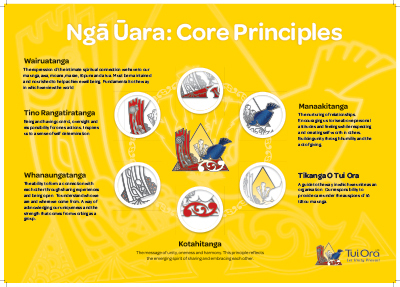 Our responsibility to provide care under the auspice of to tātou maunga.